Death Cecil Allen Thurley died in IndiaBG. English Census 1901 He appeared as a border in the 1901 English Census in Camberwell, London, EnglandBG. Marriage He and Hyacinth Voilet Bowden Ellis were married in 1910 in Wareham, Dorset, EnglandBG. 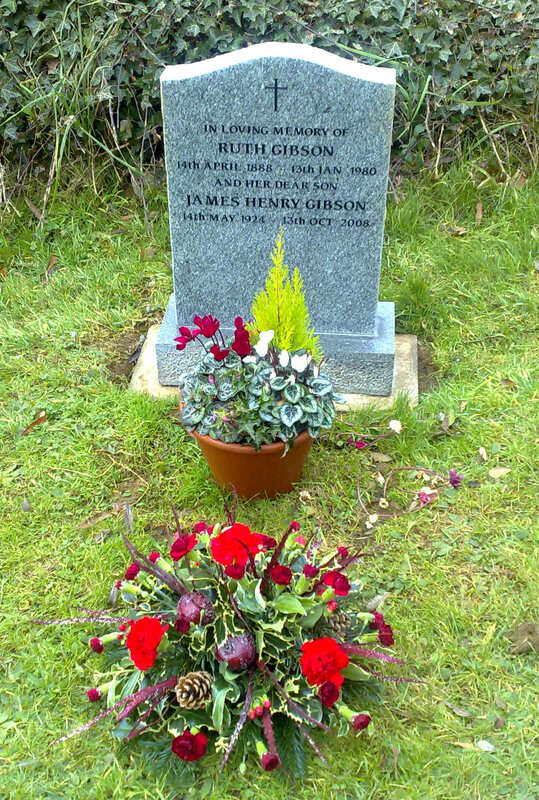 [GS] Gravestone of Ruth Gibson (nee THURLEY). [PE] Marriage of Meryvn Manly Thurley and Eunice Amy Florence Ottley. Death He died about 1967 in Huntingdon, EnglandBG. [GS] Gravestone of Clive Geoffrey Thurley. 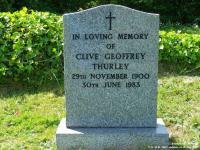 Occupation About 1940 Clive Geoffrey Thurley was. Occupation Eunice Amy Florence ("Amy") Ottley was a Teacher in Schools and Orphanages. Birth She was born in 1889 in IndiaBG. Death She died in 1976 at age ~87 in EnglandBG. Birth John Mervyn Thurley was born on 2 October 1915. Psgr List He was found on a passenger list on 8 December 1942 in California, United StatesBG. Marriage He and Marjorie (Babs) Ellison were married. Occupation John Mervyn Thurley was a Works Manager. 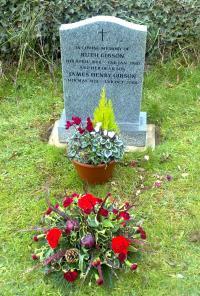 Death He died on 23 January 2001 at age 85 in Sheffield, Yorkshire, England, United KingdomBG. Marriage John Mervyn Thurley and Marjorie (Babs) Ellison were married. Birth Peggy Thurley was born in 1916. Occupation Allan Thurley was an Engineer. 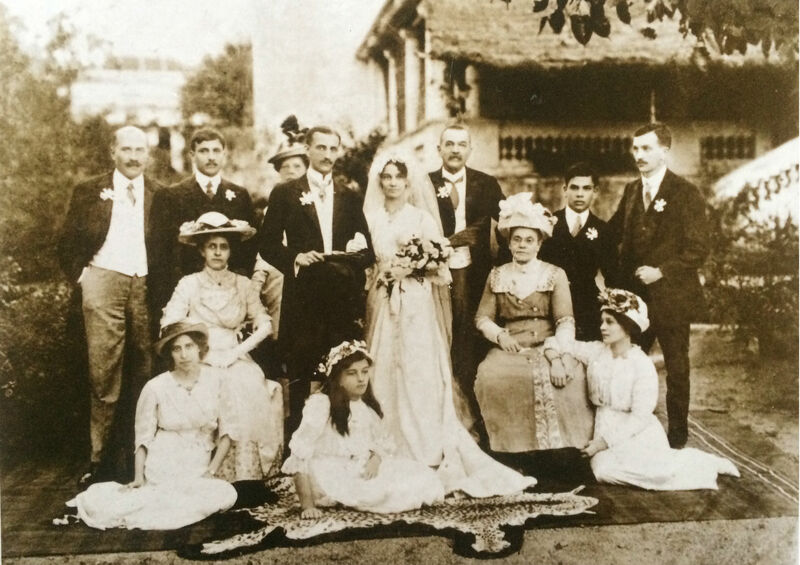 Marriage Jack Ernest Anderson and Irene Maud Thurley were married. Occupation Irene Maud Thurley was a School Teacher. Occupation Jack Ernest Anderson was a Schoolmaster. Birth He was born in 1917 in Rawalpindi, PakistanBG. Death He died in 1997 at age ~80 in Avon, Bristol, EnglandBG. Occupation Thomas Manly Thurley was a Vet and Missionary. Death He died on 2 February 1997 at age 69 in EnglandBG. [PE] Peter Eric Thurley circa 2015. 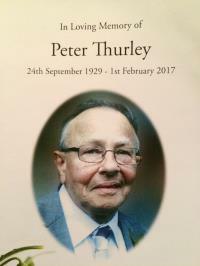 Occupation Peter Eric Thurley was a Works Manager. Birth He was born in 1929.